Catherine and husband Martin decided to throw in their regular nine-to-fives to take over Faranda Automotive Service in South Brisbane. 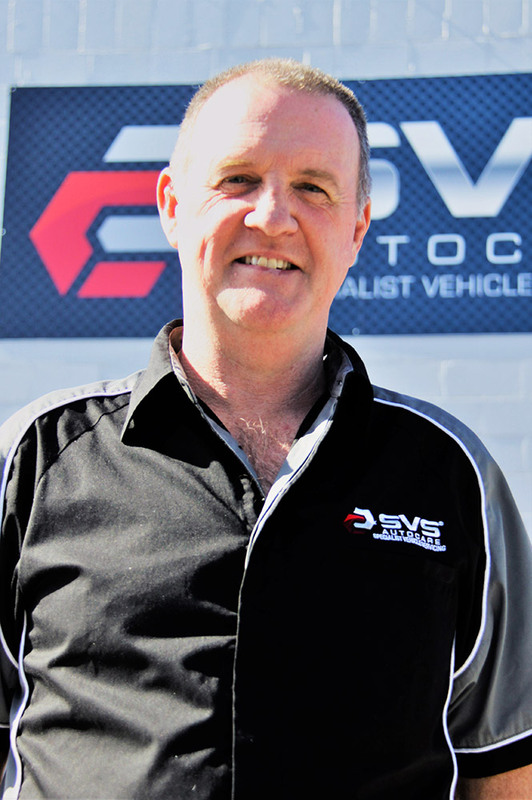 They found the thrill of owning and operating their own business and helping thousands of people each year a little contagious, so the Sunshine Coast locals expanded to SVS Autocare in early 2018. The husband and wife team have built on the long-standing reputation of SVS Autocare and rebranded their South Brisbane workshop with the same name to reaffirm their commitment to first class service for prestige cars. Catherine is a real people person with a vibrant personality who is driven to provide each and every customer with the VIP treatment. Martin has been tinkering under the hoods of cars since he was old enough to hold a spanner. He has completed several restorations of classic cars, engine upgrades and conversions over the years. Last year he finished the rust removal and panel and paint on a 1964 Mini for a very happy customer. Recently he has started a restoration on Catherine’s 1972 Chevrolet Corvette He has also built his beloved 1972 Chevrolet Camaro several years ago and actively competes in the Australian Trans-am Racing Series here in Queensland. Hey, Want to meet the rest of the team at SVS Autocare?